This is a high-end raw fish salad, apart from raw fish, it has raw scallop and lobster flesh. 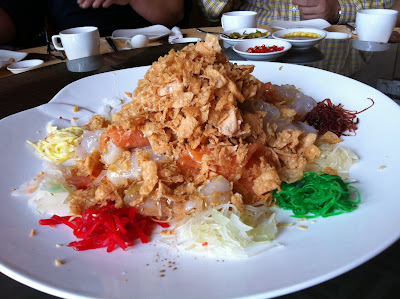 In Singapore we call it "Lo-hei", meaning "toss it up", suggesting that the new year would be tossed up to greater heights of prosperity. This dish is invented in Singapore and now a must for everyone every Lunar New Year in Singapore and Malaysia. Originally, it was some other (cheaper) fish that was used, now salmon is more common, and this year scallops and lobsters are added in the more high-end restaurants. 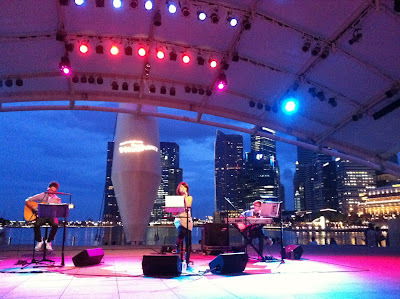 After the reunion dinner, I strolled along Marina Bay and stopped by a free concert by a singing trio, outside the Esplanade, against a beautiful backdrop of the bay and the banking city. 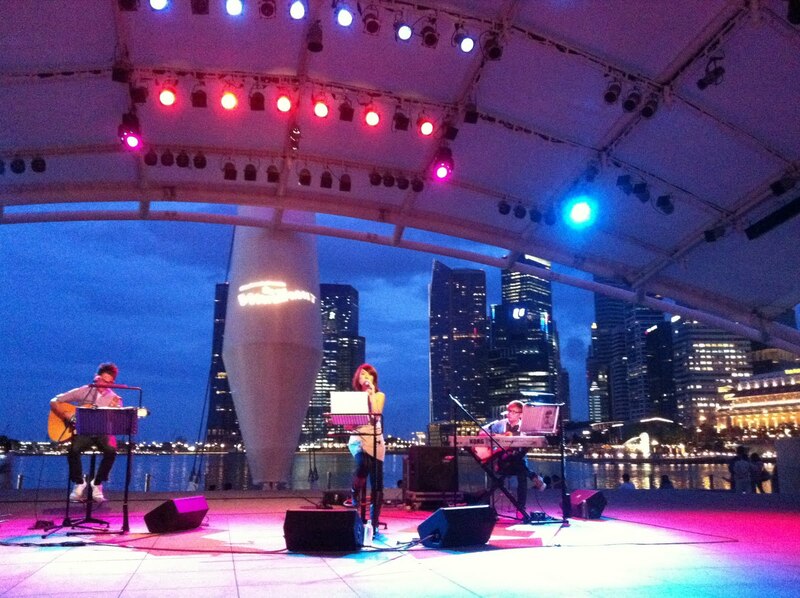 It was splendid! 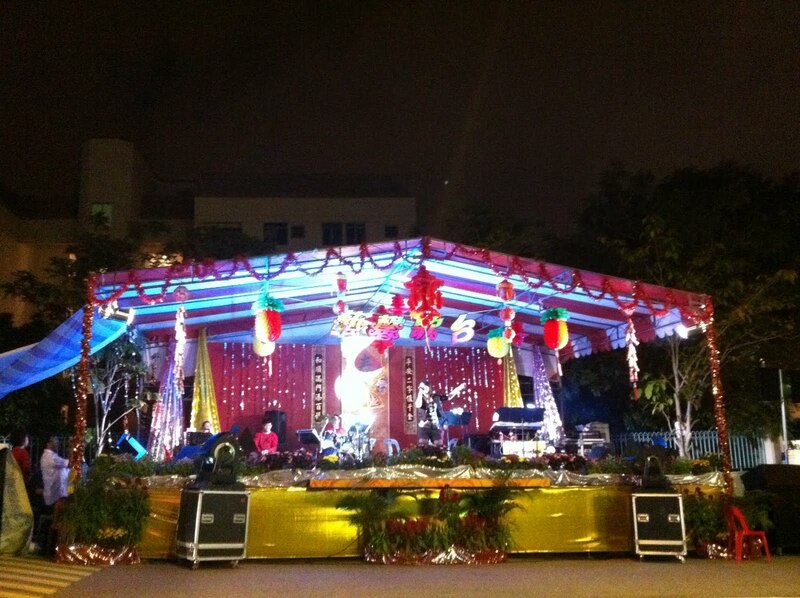 On the way home, by the neighbourhood temple, they too have their celebration. Very basic, no frills concert complete with the gawdy Chinese kitsch and Hokkien cha-cha beats. It reminded me that in some quarters, life almost stood still while the rest of the country passes them. This New Year, very few of my relatives visited us. In the years of passed, everyone of the nieces and nephews no matter how distant they are, came to visit us. Those days, they even visited us during the year, and then gradually less and less often till they no longer come. I wonder what happened to them, as we have even lost contact. There are ups and downs in life, but I think it would be cordial to keep old family ties. Some things ought to remain the same no matter how affluent we become, or what advances in science and technology take us to. Sadly, this is not the trend.